But I love how they react to this. We don’t have a big dramatic “you lied to me and now I will never ever trust you again, ever!” moment for horrendous amounts of big ugly angst but nor do we have them brushing over it as if these problems were nothing. They’re not nothing. They are major events and problems that definitely hurt them and have damaged their relationship – but both Selene and Rayne love each other enough and value their relationship enough to work through this while, at the same time, valuing themselves enough to not just ignore the issue. This kind of mature outlook is one of the better aspects of this series. Jaxom is obviously furious with the events of the last book which did not go well for the pack – but isn’t going to scapegoat Rayne for it and they recognise they have a mutual goal together. Some members of the pack are (understandably) not thrilled but despite being in contention with Rayne a grudging respect builds between them. This happens several times in the book. We have a collection of people who do have issues with each other. They have fought, they have hurt each other, they have reasons (both rational and otherwise) to hold grudges, they have strongly different opinions and ideas. Sometimes they’ve very suspicious of the other and their motives. And they work it out, or put it aside, or recognise that this difference doesn’t mean they can’t work together or recognise that just because they have an issue in contention doesn’t mean they don’t respect or value each other. Someone disagreeing with or being against Rayne, for example, isn’t automatically presented as a terribad person who should be shunned and punished for being so incredibly awful; they can disagree with Rayne for valid reasons and still be good people worthy of respect and alliance. That is sadly very rare and really good to see here. And, of course, most of these characters are POC – Rayne is Black, Selene Latina, Zara is Black, her lover, Sage is Asian, Jun is Middle Eastern – these are just a few of the majority POC cast – we have a very large number of POC through the cast and, again, each with their own stories and agendas and priorities and lives. Of course Rayne, Selene, Zara and Sage are all lesbians with powerful, passionate love lives and a dedicated will to live them as they choose despite at times facing opposition. They don’t live in a magical homophobia-less world but nor do they live in a world where homophobia or lesbian-orientated storylines dominate. They’re lesbians, it isn’t the only thing that defines them but nor is it a tiny part of them. It’s part of their experience and stories but not the only part. There are some issues I have with the story – I think there’s still an effort to sanitise what Rayne’s father did and make excuses for him. 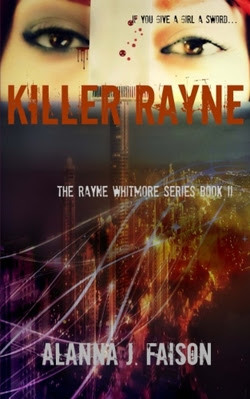 I also think Rayne’s attempts to gain control over the city are hamhanded and likely to backfire – and in a world where humans may grow to fear the supernatural, her using murder and threats to take over mortal authorities is going to feed into that. It felt clumsy like she resorted to plan c without considering plan A or B. But other than that this is an excellent book and is taking the series in a very interesting direction with lots of epic, a hugely diverse cast and all of these characters with powerful stories and motivations of their own. Things are looking up!